Egg yolk is often used for the production of pasta, in order to give it the right colour. With special poultry feed that we produce at Global Feed Mill, we are able to create liquid egg yolk with a customer specific colour. 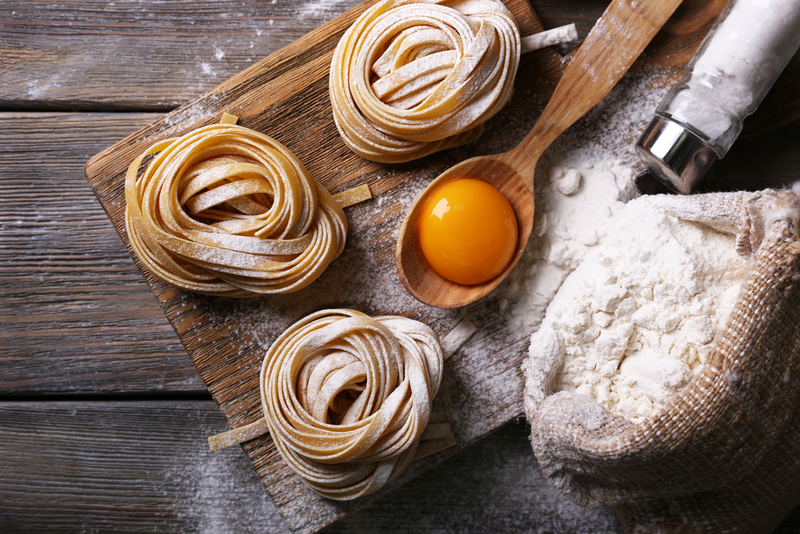 Aside from liquid egg yolk, liquid whole egg is also used, to give pasta products their flavour. Because of the controlled production process of the liquid egg products we can ensure that the quality of the delivered egg products is constant, with stable product specifications. Aside from liquid egg yolk and whole egg we also supply liquid egg white for the production of pasta products.